When offering technical support, one of the major problems is to actually know the exact situation and configuration of your product installation. Especially when dealing with Outlook add-ins, it is critical to obtain precise information regarding your Outlook version and other add-ins that you may be running. Instead of sending you a large email with instructions on how to obtain the information we are looking for, we came up with a simple “Contact Service Support” button that automatically gathers the required support data and sends it to us by email. Not only that we precisely gather the required information, but we also save your time. 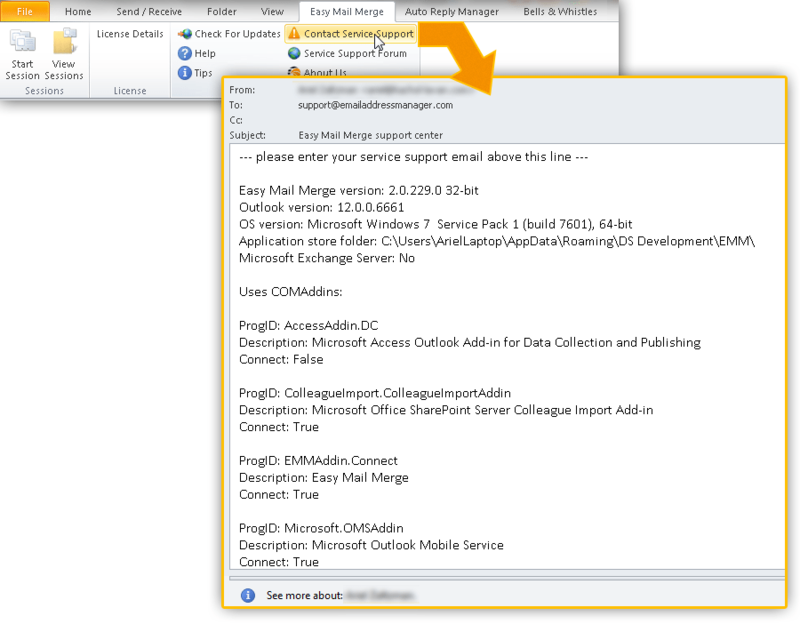 For our Outlook add-ins, the “Contact Service Support” button is located on the main product toolbar. For Email Address Collector and Quicklist, this feature is located under the Help menu.